The boarding process is the first step in a complete drywalling project. Drywall is a panel of calcium sulfate dihydrate, also known as gypsum. It is used in the boarding process to make interior walls and ceilings. Prior to beginning the boarding process, if required, the wall or ceiling are straightened in order to provide a perfect framework for the rest of the process. Here are some image depicting a space prior to the completion of the boarding process. The boarding process is a crucial aspect of any drywalling project. We have the experience and knowledge to solidify any space to complete the drywalling process. Contact us if you need to begin with the boarding, taping or texturing process. Taping is the next step in the drywalling process and important for achieving a perfectly smooth and precise finish. The taping process involves filling crack and joints with joint mud and taping over the joints. During this process we generally apply three coats of mud or drywall compound with each coat drying in between. 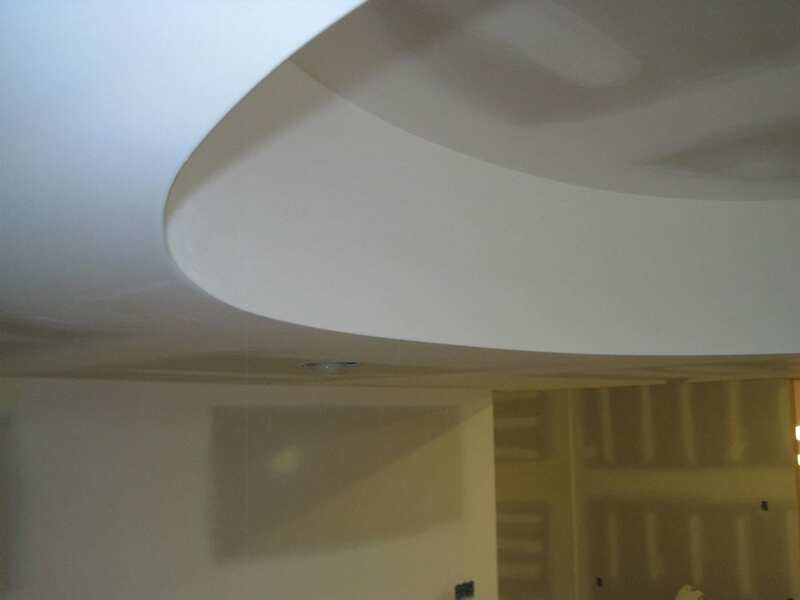 We install various types of corner bead depending on the surface and space. We finish the taping process with finish sand with a 300watt bulb to ensure quality and smoothness. This is crucial step in the process and requires professional skills to complete. Contact us if you require boarding, taping or texturing in your home today. The final step in the drywalling process is texturing. There are a variety of ways to finalize the process. Depending on surface and our customer’s aesthetic preference we offer smooth ready for paint texturing, popcorn texturing, and splatter texturing. During this process we prime and spray ceilings with a splatter coat or popcorn type texture to achieve one of the following effects. If you require boarding, taping, or texturing service, contact us today.